Raising a teen is no easy feat. Raising a teen with teenage friends who drink and drive is even tougher - mainly because peer pressure among teenagers is real. Parents cannot be with their kids 24/7 to make sure that they're not drinking underage, or even drinking and driving, so what's a concerned parent to do? Campaign ads and other awareness efforts cite similar numbers to make teenagers aware of the dangers of driving under the influence (DUI). While there is no question that information drives are instrumental in informing the public at large of the dire consequences of underage drinking, teenagers are still likely to drive under the influence if parents do not step in and talk with them. Parents play a pivotal role in the drive against DUI. 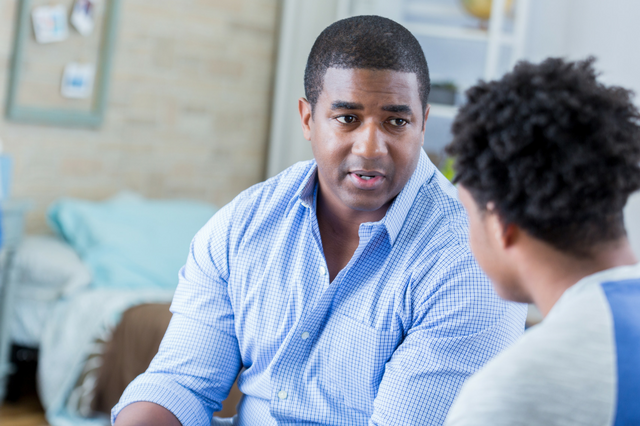 Although schools include lessons on alcohol and other illegal substances in their curriculums, parental advice, when done right, carries far more meaningful impact. There is scientific evidence, after all, that parents and their parenting styles can counter the negative influence adolescent social networks wield on teenagers, especially when it comes to substance abuse. Take the emotional charge out of the discussion. Do not scare them into believing that drugs and alcohol are evil. Instead, give them the established, unadulterated facts. Teenagers nowadays have access to various types of information, and exaggerations and false claims can tarnish your credibility. Set behavior expectations for your child as early as the age of 9 to 11. Establish a zero tolerance for drinking because even so-called “supervised” underage drinking can result in DUI and alcohol abuse in later life. However, if your teenager is drinking, you might want to establish some expectations. Some parents should consider creating ways for their teen driver to ask for help, even if they have been drinking. This can help your teenager out of “peer pressure” situations they do not want to be in and can keep them from feeling as if they need to drive home drunk to keep from getting in trouble. Of course, you don't want to encourage underage drinking, but it's critical to live up to the agreement you've made. Keep your end of the bargain here, and if you have to bail them out of a bad situation, keep your end of the bargain. Doing otherwise may discourage them from asking for your help the next time around. Teenagers look up to their parents, even besting athletes and celebrities as role models. Needless to say, exhibit good driving behavior, especially in the presence of your teenage driver, and ensure you are a responsible adult drinker yourself. Don't text when driving with your kids in the car if you want them to practice safe driving. Even more, don't be an aggressive driver, as it will make your teenage driver more prone to picking up poor driving habits. You know what they say about repetition - it is the mother of learning. No parent relishes the idea of their teenager rolling their eyes at them whenever they say something they think is vital for their child’s well-being, but constant reminders let your teenage driver know that you expect good behavior from them. If you find your teen engaging in underage drinking, enact the agreed-upon punishment but do not go overboard. Confiscating their license, for example, should be enough to let them know that you mean business and that they are accountable for their behavior. Driving under the influence among teenage drivers is a problem with a solution that starts at home, while the kids are still young. Although it is a subject that can be tackled during parent-taught driver’s ed sessions, enrolling your child in a risk reduction course in a Colorado driving school such as Western Slope Driving Institute can also help. If you have any questions on how we can do just that, please contact us today.